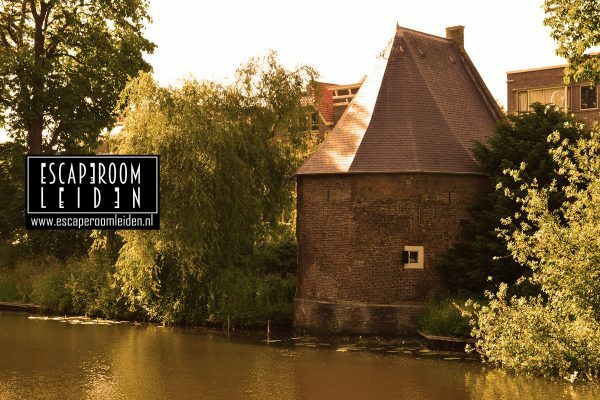 Escape rooms have been popping up all over the Netherlands over the past few years. Brandon Hartley checks out the best of these adventure games that involve solving puzzles to get out of everything from old bank vaults to former prisons. The clock on a screen mounted on the wall said we had two minutes left. I ran over to the staircase while a flustered colleague shouted out some instructions. She and our two fellow thrill seekers were trying to piece together a series of clues that would prevent us from getting zapped into an alternative dimension but it was too late. I did my best to bounce on the mechanical stairs in the correct order but we were out of time. Our collective goose had been cooked. Some escape rooms contain plotlines inspired by Hollywood films or involve famous figures from the history books. They accommodate as few as two players while others necessitate a small army of stout-hearted individuals. Many also require reservations days, if not weeks, in advance. Here’s just a few of the best ones you can try out here in the Netherlands…if you dare! Perhaps the best known series of escape rooms in the Netherlands, Sherlocked has been featured on the talk show De Wereld Draait Door. It offers not one but three different adventures. In ‘The Vault,’ the players adopt the roles of thieves determined to steal a mysterious object from a series of antique bank vaults. ‘The Architect’ takes place inside the catacombs of the old Beurs van Berlage building on the Damrak and focuses on a series of strange events involving the acclaimed architect Hendrik Petrus Berlage. ‘The Port Game,’ which can be played by as many as 42 players, centres around a troubled inventor grappling with an experiment involving artificial intelligence. These two escape rooms can be found on the Foeliestraat in Amsterdam and they’re more geared towards families. In ‘Wake Up!’, the players attempt to navigate the nightmare of a young girl named Mathilda and help her escape from it. Classic gaming enthusiasts might also enjoy ‘Arcade Invasion,’ which allows them to take on an army of invaders determined to destroy a world inspired by ‘80s and ‘90s arcade games. If you’re a fan of films and TV shows where a ragtag group of misfits or falsely accused heroes bust out of a maximum security prison, then this one’s for you…provided you’re over the age of 18 and can handle an incredibly intense experience. In total, 25 designers were involved in the making of this jumbo-sized escape room. 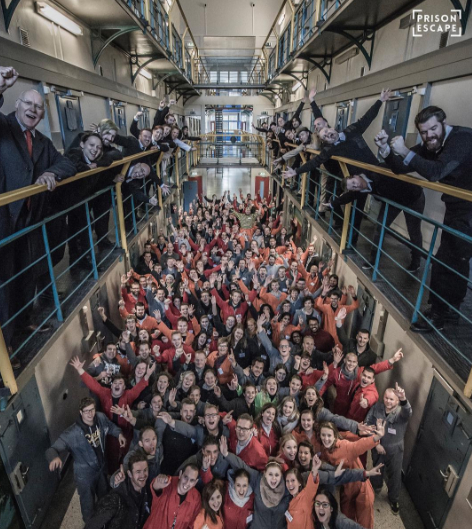 The average game features over 80 actors portraying prison guards and others and it takes place in Breda’s Koepelgevangenis (an old prison completed in 1886). You’ll need to round up over 140 of your closest friends if you want to play it on a specific day though. Otherwise, you can buy a ticket and fight your way to freedom alongside dozens of strangers during their periodic event days. Are you fainthearted? Do you hate going to the dentist? Have you been totally creeped out by all those recent reports concerning scary clowns running amok? Well, then maybe you should move on to the next item on the list. 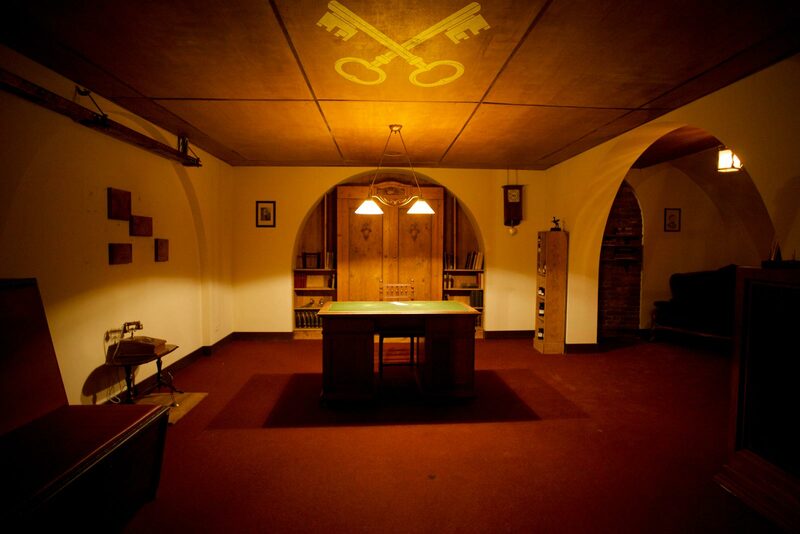 The company that hosts these escape rooms have an equally creepy one located in Zoetermeer (with another on the way). Players in ‘The Dentist’ begin their pulse-pounding quest in an old-fashioned waiting room. On the other side of a door they can hear the piercing sounds of a drill followed by bloodcurdling screams. Wanna know what happens next? Well, then book a reservation. The Freakshow (also located in Delft) takes place in a circus where nothing is quite what it seems. Not one, not two, but *five* escape rooms are offered by this company with locations in both Utrecht and Almere. You can contend with a ghostly bellhop and other ghoulies in Almere’s ‘Room 22.’ Go in search of a valuable artifact snatched by a corrupt church in Utrecht’s ‘The Stolen Ceres.’ The secret agent Malik would appreciate your help with deactivating a time bomb in Utrecht’s ‘Project Venona’ and you can probably figure out the premise of ‘Let’s Rob the Bank!’ on your own and play it in both cities. Lastly, there’s ‘Patiënt X’ in Utrecht that involves a revolutionary new drug with some nasty side effects. The locals say that something strange has been happening lately in the centuries-old Kruithuisje located along the Jan van Houtkade in Leiden. Could it have something to do with the master painter Rembrandt and his experiments with the supernatural? Maaaaaaybe. So says the storyline for this escape room that’s actually located in an old guard tower that once helped defend the city. A daring nobleman, an enchanting tsaria, a secret affair and precious treasure are all entwined in this escape room’s historically-inspired backstory, which combines a bit of fact with a whole lot of fiction. Players have just 60 minutes to explore Baron van Hagesteijn’s mansion and see if they can find a priceless jewel that once belonged to Alexandra Feodorovna.